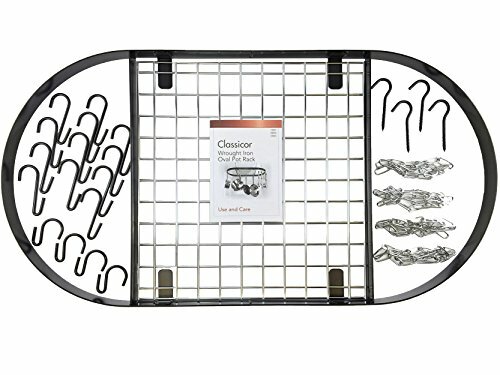 Rack up some serious style points with the Kinetic Go Green Classicor Wrought-Iron Oval Pot Rack. Durable wrought iron construction in a classic black finish gives your kitchen a timeless yet modern look. 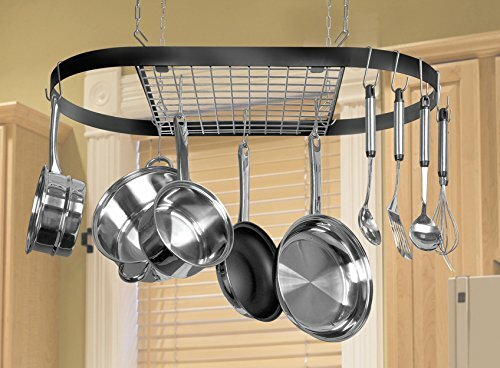 A 40-pound capacity organizes your pots and pans so you can see them at a glance while saving valuable cabinet space. Durable wrought iron construction. 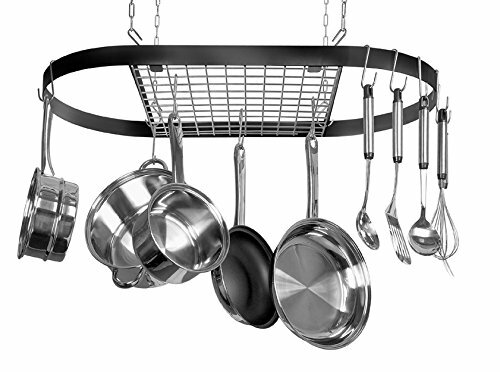 Organize your pots, pans, and utensils. 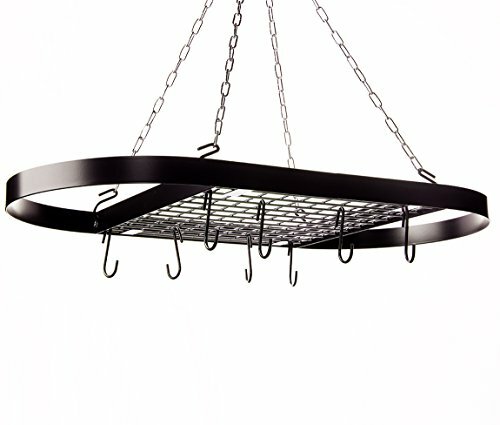 Oval shaped pot rack in black. Holds up to 40 lbs. of cookware. Dimensions: 32.5L x 17W x 1H in.. 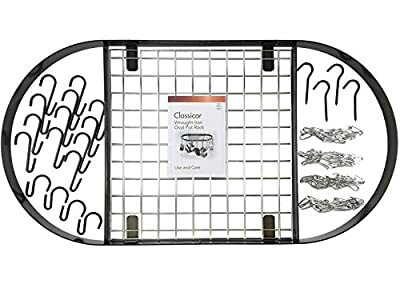 Durable wrought iron construction Organize your pots, pans, and utensils Oval shaped pot rack in black Holds up to 40 lbs. of cookware Dimensions: 32.5L x 17W x 1H in.